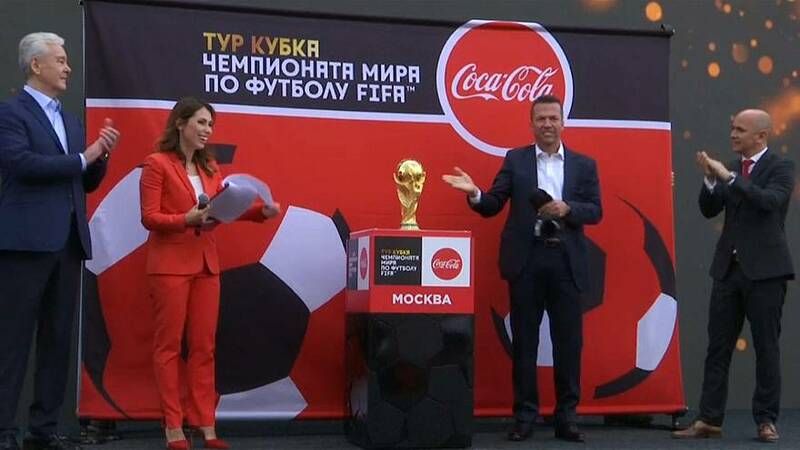 Less than two weeks before the world's biggest football championship kick-off, Russia's Moscow presented the World Cup trophy to the public. German football star Lothar Matthaus unveiled the golden prize together with Russian and FIFA officials in Manezhnaya Square next to the Kremlin. Russia will host the 2018 World Cup finals in 12 venues spread across 11 cities, which opens with the hosts playing Saudi Arabia in Moscow's Luzhniki Stadium on June 14.